The apartments are cozily arranged and fully equipped. The closeness to the cable-car station of the family ski-area Almenwelt Lofer is a great advantage for your summer and winter holiday! The apartments are suitable for 2-6 people. Our apartment "Steinbergblick" offers a pleasant atmosphere for your holidays in Lofer. Beside a double bed belongs a living room, two bathrooms and much more. The apartment "Gföllblick" in the youthfully furnished style offers a cozy double room with comfortable living area, TV and radio. More information on the next page. 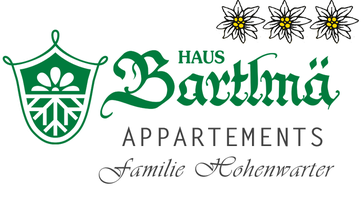 The 1-room apartment "Reifhornblick" is located on the attic and is very traditionally furnished. It offers much comfort and well-being. Our fourth apartment "Hochkranzblick" is comfortably furnished and offers everything you need for a relaxing holiday in Lofer.